Easter 2019 - YOU'RE INVITED! Easter is a day of celebration! It's the single most important day in the life of the Christian and New Heights Church wants YOU to celebrate with US! Join us this Easter as we thank and worship God for giving us LIVING HOPE! Sunday 21 April is our next All Church Community Lunch, immediately following worship! Join us for a great time of community and feasting. Bring a dish you would like to share with your church family as we grow together as a spiritual family. 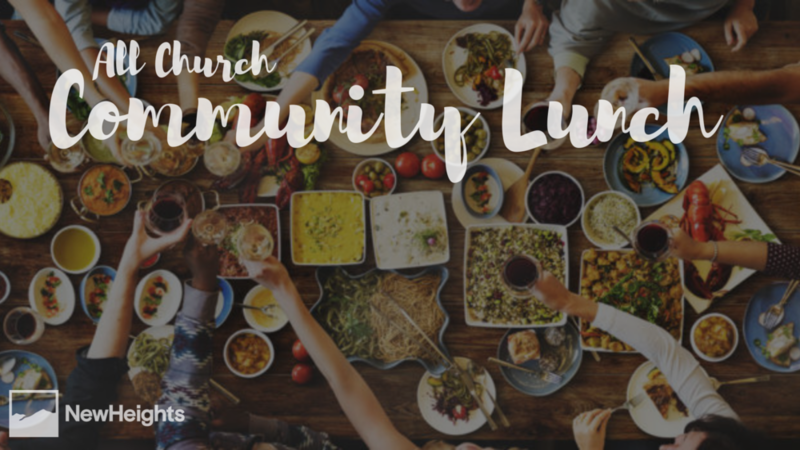 This Sunday is our monthly All Church Community Lunch, immediately following worship! Join us for a great time of community and feasting. Bring a dish you would like to share with your church family as we grow together as a spiritual family. Today is Ash Wednesday which is the first day of the season of Lent! Have you begun your lent season listening to day one of the One Campaign?